Xawaash (pronounced Hawash) comes from the Arabic word Hawa’ij (حوائج). Hawa’ij can be translated as ‘requirements’ or ‘essentials’. For example, there are the essentials accompaniments for Arabic coffee, Hawa’ij al-Qahwa (حوائج القهوة). 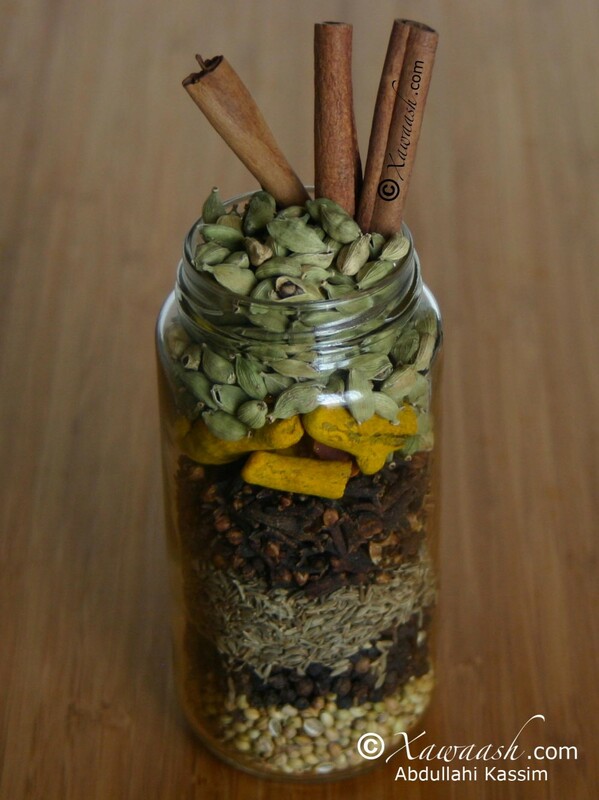 The Hawa’ij spice mix is believed to have originated in Yemen. In the southern regions of Somalia, Xawaash refers to the spice mix that is added to savoury dishes: meats, stews, soups, etc. However, in the northern parts of Somalia, Xawaash is used in a broader sense and it refers to any spice mix, even the spices that are added to tea and coffee. Keep in mind that the types of spices used and their proportions are not cast in stone. There are regional variations dictated by personal taste as well as the availability of certain spices. 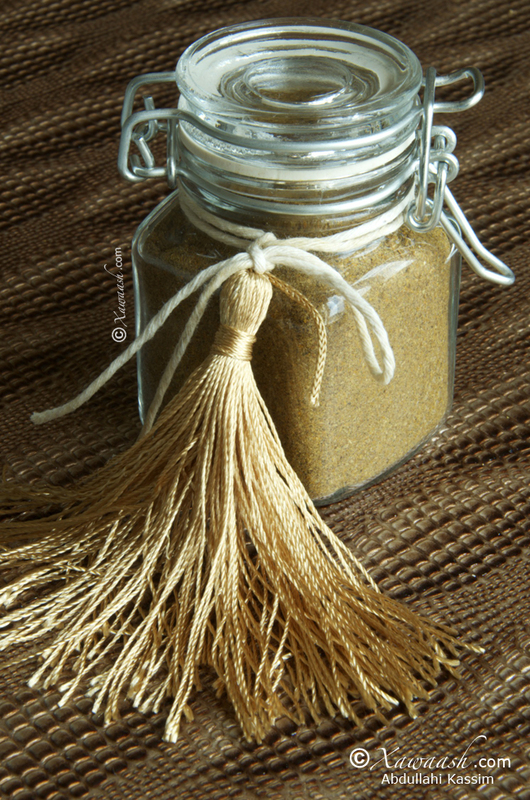 The use of the aromatic Xawaash is what gives Somali food its unique character and flavour. Put all the spices, except the turmeric, in a pan set over medium heat. Toast and stir for about 4 to 5 minutes or until you smell the spices. Do not burn. It is better to under-toast rather than to over-toast. Cool down the toasted spices. Transfer to a spice grinder. Sift then regrind any coarse spices. Store the spice mix in an airtight jar. Sift then regrind any coarse grains. Add the turmeric powder and store in an airtight jar. 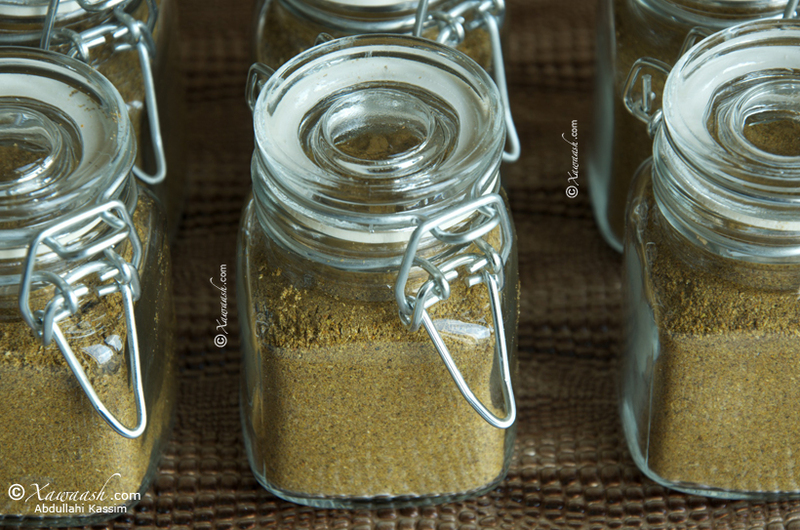 These small jars of Xawaash will make unique wedding favours. Bir dab dhexdhexaad ah saaran, ku-shub carafta (buhaaraadka), aan ka-ahayn huruudda. Dub 4 ilaa 5 daqiiqo ama ilaa ay kuusoo carfaan. Yaysan kaa gubanin. Wax yar in la saloolo waxay dhaantaa inaad wax badan saloolishid. Sug ilaa kulaylka uu ka-dhaco. Weel aan hawo galayn ku-shub. Xawaash (prononcé Hawash h aspiré) vient du mot arabe Hawa’ij (حوائج). Hawa’ij peut être traduit par “indispensables” ou “essentiels”. Par exemple, il y a les accompagnements indispensables du café arabe, Hawa’ij al-Qahwa (حوائج القهوة). Le mélange d’épices Hawa’ij serait originaire du Yémen. Dans les régions méridionales de Somalie, Xawaash fait référence au mélange qui vient assaisonner des plats salés: viandes, ragoûts, soupes, etc. Cependant dans les régions du Nord de la Somalie, Xawaash a un sens plus large, il représente tous les mélanges d’épices même ceux qui sont ajoutés au thé et au café. Notez bien que les différentes épices utilisées et leurs proportions ne sont pas immuables. Il existe des variations régionales qui reflètent les goûts de chacun ainsi que la disponibilité de certaines épices. L’utilisation d’un Xawaash parfumé donne à la cuisine Somali son goût et son caractère uniques. Mettre toutes les épices sauf le curcuma dans une poêle à feu moyen. Faire revenir en remuant pendant 4 à 5 minutes ou jusqu’à ce que les épices commencent à libérer leur parfum. Ne pas brûler. Laisser refroidir les épices grillées. Transférer les épices dans un moulin. Tamiser et remoudre les épices les plus grossières. Ajouter la poudre de curcuma. Conserver les épices moulues dans un pot hermétique. Tamiser puis remoudre les plus gros grains. Ajouter le curcuma et conserver dans un pot hermétique. Ces petits flacons de Xawaash feront des cadeaux de mariage uniques. 121 Comments - Leave a comment! Thank you for visiting our site. We hope to post recipes that our brothers and sisters in Uganda will like. Thank you, This is a wonderful site to learn how to cook typical Somali cuisine.. I am wondering if you have a grocery store that I can purchase xawaash recipe,, Thank you once again for this marvelous course.. Thank you Ahmed. No we don’t sell anything. We want to get you into the kitchen to make delicious dishes! Thanks brother/sister.. I am already in action at kitchen as I am fallowing your unique teaching method, due that result, I cooked already delicious dishes.. such as “Bariis isku Karis” . pasta and it’s sauce. and mixed vegetable dish.. All my diners were enjoyed the taste they got my cooking..But let me tell you, all this appreciation goes to you.. From now, I am trying to cook “Muffo Barvine” but I don’t have measurement tools that you use when preparing the ingredients.. I am really appreciate if you can guide me where I can found those kitchen aid tools.. such as.. serious cups, spoons, and measured jar glass.. I am living Toronto, could I possible found in Canadian Tire. ?? many thanks goes to you brother..
You can find all the measuring cups, spoons and glass jar in many places, including at Canadian Tire. We’re happy the recipes worked for you. Thanks brother.. We are eager to see how to cook couscous, because I have had problem before and I am failed several time to cook non sticky couscous.. Many thanks goes to you. We have already posted a recipe for Somali Salad. Please click on the RECIPES button and look for Somali Salad. There you will find the recipe for the dressing. Salam Alaikum, Thanks for some real mouthwatering recipes from your ‘home’. I am definitely going to try out some of the easier ones first and also make the Somali version of the traditional ‘garam masala’ so common in east african and Asian cooking. Keep up the good work. God bless you. Thank you Ramzanali for your comment. We hope that you will find the recipes to your liking. Assalamu aleikum, Thanx for these gorgeous recipees. Love the “maraq digaag with sabaayad”. Gonna try them ALL!!! Wa’aleikum Assalam. Thanks for the comment and we look forward to hearing how it all went. Good luck. Thank you very much for your comment. We hope to post a recipe for vegetable seasoning. Love your website!!! Thanks so much. Can you convert the measurements for cornflower in this recipe into grams please? How many grams would I use? We assume you are asking for the Halwa (Xalwo) recipe. You will need 65 grams of corn flour. We have added the grams and mL for all the ingredients in the recipe. Walaal Fahmo adigaa mahadda mudan. Waan soo gelin doonaa kabaabka iyo sida loo kala sameeyo. Xawaashka haylka waa ku badin kartaa haddaad jeceshahay. Bariiska markaan karsanayno haylka waan ku badinaa, laakiinse maraqa iyo hilibka haylka badan kuma fiicna. Aad ayaad ugu mahadsantahay su’aashaada iyo hadaladaada oo qaayaha leh. Wonderful site with mouthwatering recipes. keep up the good work ! Cunooyinkeenna Soommaaliga ah waa cunno qiima leh, lakiin adduunweynaha si fiican looga aqoonin. Waad ku mahadsan tahay faalladaada iyo ducadaada fiican. Thank you for your wonderful site. 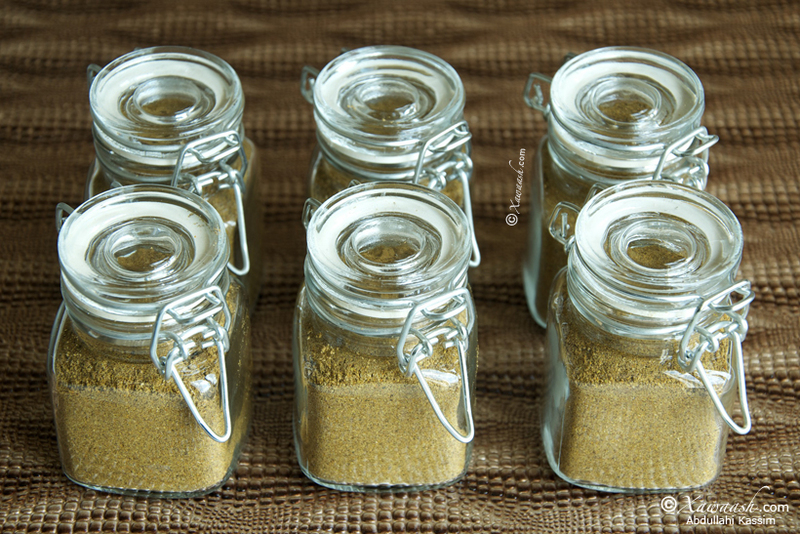 I have prepared and shared your Somali spice mix with several friends. For me, this food evokes many times shared with treasured Somali companions in a time when my country, Canada, seemed a kinder and more welcoming place. I hope and pray that we may share such times again someday but in your country, in peace and prosperity. Thank you for your comment. Governments come and governments go, but we found our fellow Canadians to be kind and decent people. We pray that Somalia will find the peace that has eluded her for more than two decades. We hope to welcome you there and extend to you the same compassion that we received. Thank you so much for your wonderful comment. We feel touched. May God Almighty bless you and your family. Ramadan Karim to you all. I have just come across this site and I am smiling so much! As someone who is half Somali but grew up not knowing how to cook traditional food I am so excited to learn! We are very happy that you found the website helpful. Thank you for visiting and leaving a comment. Have a great day! IS XAWAASH THE SAME AS PILAU SPICES (MIX). JUST WONDERING, SEEMS VERY SIMILAR. BECAUSE I HAVE PILAU SPICES, IF ITS THE SAME THING, I DONT NEED TO GO AND PREPARE THE XAWAASH MIX. BY THE WAY AM FROM TANZANIA AND I LOVE YOUR WEBSITE, ITS THE BEST. Thank so much for your nice compliment. Even though pilau spice is different from xawaash, we believe that you can still substitute it for xawaash. The main difference we noticed is the absence of coriander seeds in the pilau mix. WAAAW MASHA ALLAHU WALAHI IT’S VERY WONDERFUL TO SEE THESE THINGS THANKS FOR THESE GUYS. Thank you very much for your comment. We are delighted that you liked Xawaash. Make sure you check for updates. You are most welcome. We are happy we could help. Thank you for taking the time to comment. As mentioned in the post, there are regional variations dictated by personal taste and the availability of certain spices. 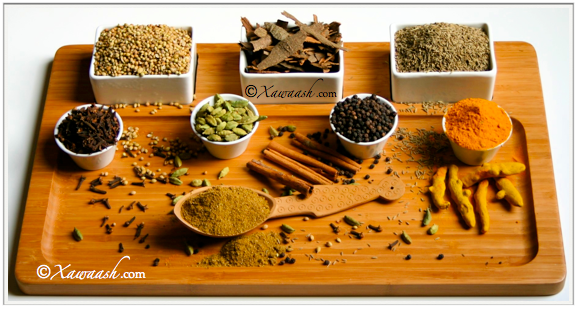 The main ingredients are cumin and coriander which are available in most places. Thank you for your comment and question. im in love with your website, since i discover it i havent stop cooking and using the same recipe that reminds Djibouti. And my bf is in love also. tschüss und danke sehr für alles. Thank you very much for your lovely comment. We are happy that you like the recipes. Best wishes to the people of Djibouti. Mahadsanid walaal. Waan ku-faraxnay sida aad u-la dhacday goobta Xawaash. Aad iyo aad ayaa ugu mahadsan tahay faallada wacan ee xamaasadda na-gelisay. Adigaa mahadda mudan walaasheenna Mumino. Aad iyo aad ayaa ugu mahadsan tahay hadalada wacan. Saddex nooc qumbe ayaa ku-jira Xawaash. Linkigaan waa qumbe caano, halkaan guji http://xawaash.com/?p=3375. Thank you very much for your awesome comment. We’re happy that you like the website and the recipes. We don’t live in Toronto and we are not familiar with the shops there. However, the individual spices (cumin and coriander seeds, cardamom, cinnamon, cloves, turmeric powder and black pepper) are available everywhere. Waa ku mahadsan tahay salaanta wacan. Soo’da Icun waa tan, halkaan guji http://xawaash.com/?p=4328. asc waalal waxan ku weydiyay waxa dhalada k jiro oo jalaha ah maxa waye kaas ayan fahmi wayay oo sanjabilka u eg jazakalahu qeyr mahadsanid wax badan ayan ka faaiday. Waa huruud. Huruudda gooni ayaa loo shiidaa ama huruud shiidan ayaad isticmaali kartaa. Mahadsanid. I had a hard time finding the cumin seeds, can i just use cumin powder? You can use cumin powder. However, when you grind whole spices the flavour is much better. The powder loses it’s flavour the longer you store it. You can find cumin seeds﻿ at ethnic stores especially Indian. Thank you. Walal xawaajiyada aad shiidey maloo isticmaalayaa maraq kasta, misa qeyba maraqa kamida ayaad u isticmaali ku daradiisa. Maraq kasta ayaa u isticmaali kartaa. Waxaa kaloo u isticmaali kartaa bariiska, suugada baastada iyo waxa aad jeceshahay. Is it possible for you to add the quantities in weight/grams please? Thanks to you! Have a great week. Mahadsanid walal, waad iga jaahil bixisay. Allaha ha,idin dhowro inshaa,allah. Adigaa mahadda mudan. Ilaahay haku dhawro adigana. Nabad Walaal Mahadsanid dadaalkan ad wado ilaahay ha kula qabto . Erayga Xawaash waa la adeegsadaa waa run ee af soomaaliga asalka ah spiceska waxa la yiraahdaa “Geedo” oo Soomaali badan ayaa adeegsata eraygaas . Waa ku mahadsan tahay faallada wacan. Haddaan dhab u hadalno ereygaas “geedo” goor aan fogayn ayaan barannay. Waa runtaa markaan baarnay waxaan ogaanay in ereyga asalka ah inuu yahay “geedo”. We are happy you like it. Thank you. Asc,thank you,thank you,thank you.May Allah give you Barakah Ameen. You are very welcome. Many thanks to you too. God bless you. where can I buy the xawaash? the one that is already mixed. walaahi I don’t like cooking but you guys made a cook out of me lol. We are very happy for you. 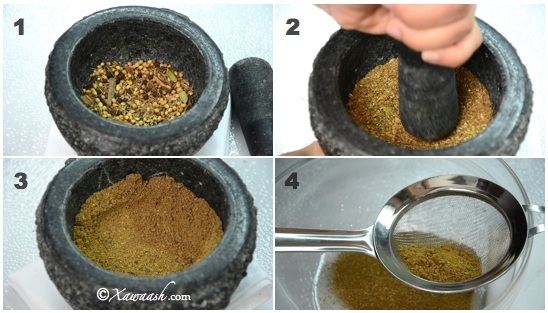 Try the Somali Halal Stores or you can make it yourself if you have the spice grinder. I just happened to stumble upon your site while looking for an authentic recipe for Somali Beriis, and I must say MAA SHAA ALLAH! What a beautiful site and valued content. Thank you very much Nichole. It is great to know that you liked the website as well as the food. Asalamu aleykum brother/sister. First of all thank you for the time and effort you put to this website to help us cook better and easier. May Allah reward you with bigger Insha’Allah. I’ve tried the Caano baraawe exactly the way you showed but it gets hard after it cools down any suggestion to make it softer? Thanks again. Thank you very much for your nice comment and prayer. God bless you. You can reduce the cooking time by about 5 minutes and store in an airtight container. But later learnt yours was wayyyyyy better! We were delighted by your wonderful comment. Thank you very much. Somali tea is definitely on our to do list. We will post the recipe, God willing. May God bless you and your loved ones. Waan ku faraxnay sida aad ula dhacday goobta Xawaash. Aad iyo aad ayaa ugu mahadsan tahay ducada iyo faallada aadka u fiican. Ilaahay waxaan kaaga baryaynaa qayr badan oo aan dhammaan. I just want to say that you have rescued a single man from starving this Ramadan. May Allah reward you for it. I love the love you transpire in putting forward our beautiful culture and food and for that I want to thank you. A brother and a fan. Brother Osman, we are very delighted by your wonderful comment. We are happy we could help. Thank you very much, and God bless you. You are very welcome. Thank you so much for your prayers. We are really glad that you like the website and the spice. May God bless you. Ingredients was vegetabkle seasoning. What exactly is that? 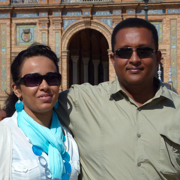 Abdullahi & Leila I cannot tell you how much I love your blog. I came across it this summer when I visited my sister in France. She told me about it and I told everyone I know Somali or otherwise about it. I love food blogs and I have used and visited many of them and yours is up there with the best of them. I left Somali as a teenager and did not get the opportunity to visit again but your blog brings back memories not only with the food but with the background music and the pictures at the end of each recipe. I cook all kinds of food but was not able to do any Somali cooking. Now I am going to thanks to you guys. I see the picture of you in Sevilla which I had the pleasure to visit this summer. I see a cook book in the making for you guys. I see other bloggers doing it (Smitten Kitchen)so I don’t see why you can’t explore the idea. Good luck and keep up the good work. You make me proud as a Somali. Thank you so much for your wonderful comment and kind feelings. We are exceedingly touched and grateful. We are also very lucky to have fans like you. Our trip to Spain was one of the most memorable ones. We hope to share with our readers some of the wonderful things we learned there. We will rethink our position on writing a cook book. Hello! I am happy to have found your blog! I live in Minnesota, which has the largest Somali population in the U.S.; I am interested in learning and understanding more about the people and culture. One of my co-workers told me about making Xawaash, and another dish that sounded very similar to your recipe for Chicken Steak, so I think I will start there. (She was incredulous that I’d never had Somali cooking, and that I didn’t know what I was missing)! There are only a couple of ingredients that I don’t have; I scanned some of the other recipes, and it’s great that most of them call for things already in my cupboards. Thank you very much for taking the time to comment. We are also incredulous that you did not know about Somali food. Blame it on the biased media! Welcome on board. salam alaikum. i am really interested in buying the measuring cups in shaa Allah. where can i purchase online? i couldnt find at my local stores. You can purchase from amazon.com. thank you for your generous sharing. love it help me a lot!! Adigaa mahadda mudan walaal. Waan ku faraxnay inaad ka heshay. Hadduu Eebbe idmo waan ku tala jirnaa inaan soo gelino. I have now got some Cardamom pods do I shell them from pods or leave them in pods? thank you for your site. You don’t need to shell them. Assalaamu Caleykum,Cabdillaahi iyo Layla,aad baan u jeclahay xawaash recipe,waxaan ku daray fennel seeds iyo anise seeds aad bay labaduba u udgoon yihiin InshaAlaah marka dambaad sameysanaysaan ku darsada waxaan rajaynayaa inaad u jeclaataan sidaan u jeclaaday. Walaasheenna qaaliga ah aad iyo aad ayaa u mahadsan tahay. Waan ku faraxnay inaad nala wadaagtay tijaabadaada. Hadduu Eebbe idmo waan tijaabin doonnaa. Mahadsanid mar labaad. Soomaaliya the land of spices,dhulkii xawaashka baa la oran jiray ilaa iyo waagii hore ee faraaciinta iyo roomaanka . 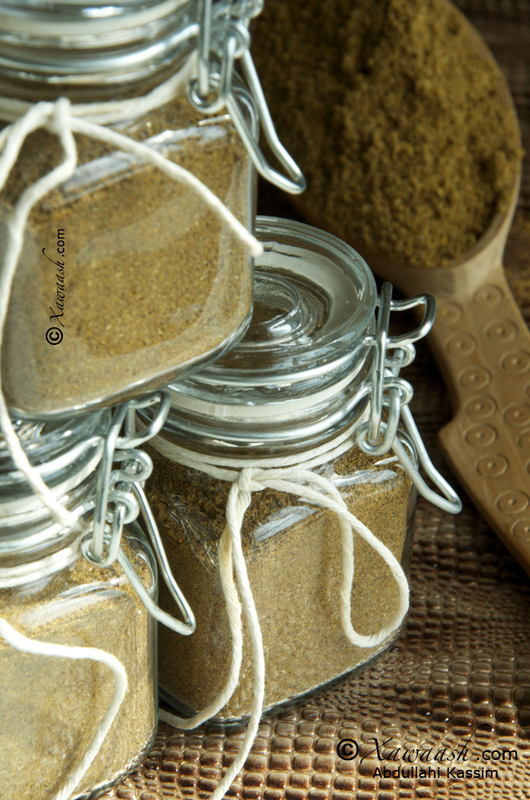 Markaa anoo taariikhda dhiga, waa in aan iska ilaalino ‘it is believeda ‘The Hawa’ij spice mix is believed to have originated in Yemen ” The Somali region was called the land of Spices ‘Hawaash’ and Frankincense . They used to mix their spices.Even,the traditional women in countryside use a stone-mixer ‘midxin’ .They shared their ‘geedo’ spices to the world . Carabtu magaac badan bay naga amaahatay ,markaas waa laga fiican yahay inaan markaste odhano , it is believed inaa laga keenay dhulkaa kale ! asc wr wb…omg abaayo we love you walaahi waa nacaawisay a lot markaa wax rabno inaa sameeno ur website eegna oo ka sameeena . aaad baa u mahadsantahay ilaahay khayr haku siiyo ..u are amazing …. Aad iyo aad ayaa ugu mahadsan tahay faallada wacan. Waan ku faraxsan nahay inaad ka faa’iidaysanaysiin. Salam sister, great website Masha Allah. I know for sure this will be a place i come to for ideas and inspiration Insha Allah. May I ask if you could post the easiest way of making Somali tea with milk? I don’t make it often. Mostly when I have visitors. I tend to get it right some days and wrong other days. I think it all in the measurements and balancing the flavours of the spices. Please help. Thank you very, very much. We are delighted to know that you will come to this site for ideas and inspiration. God willing, we will post a recipe for Somali tea with milk. Thanks again. 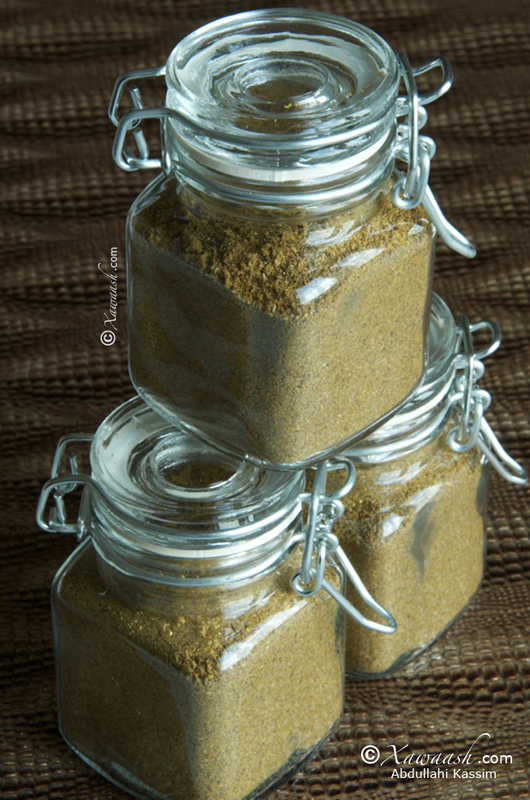 I wanted to know is Xawaash Bouillon Powder and Xawaash spice mix the same? If not what are the recipes? 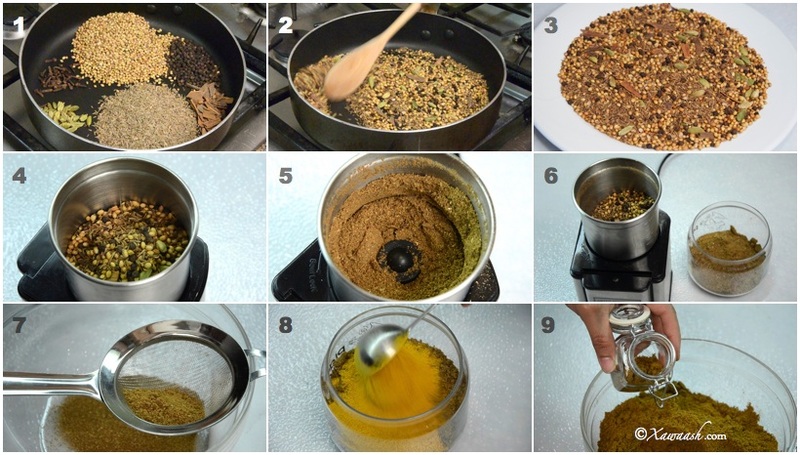 Here is the link for the the xawaash spice mix recipe http://xawaash.com/?p=12. 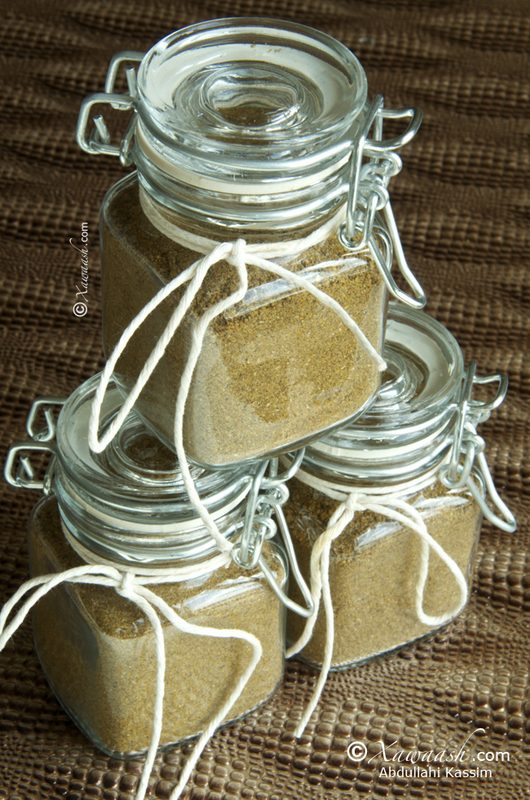 Xawaash bouillon powder is a stock mix. As salaam wu alaykum wa rahmatullahi wa barakahtu. I really appreciate and value your work and effort in establishing this site and the youtube channel. It has been of benefit to me. Shukraan. May Allah azza wa jal reward you with abundant good for it. Wa salaam wu alaykum wa rahmatullahi wa barakahtu. Thank you very much for heartwarming comment. God bless you. Thank you for your blog. It has made my Somali husband very happy. Question: I thought I saw one time that you made Xawaash Vegetable Seasoning. I looking to reduce chemicals in our diets and want to take out Maggi. 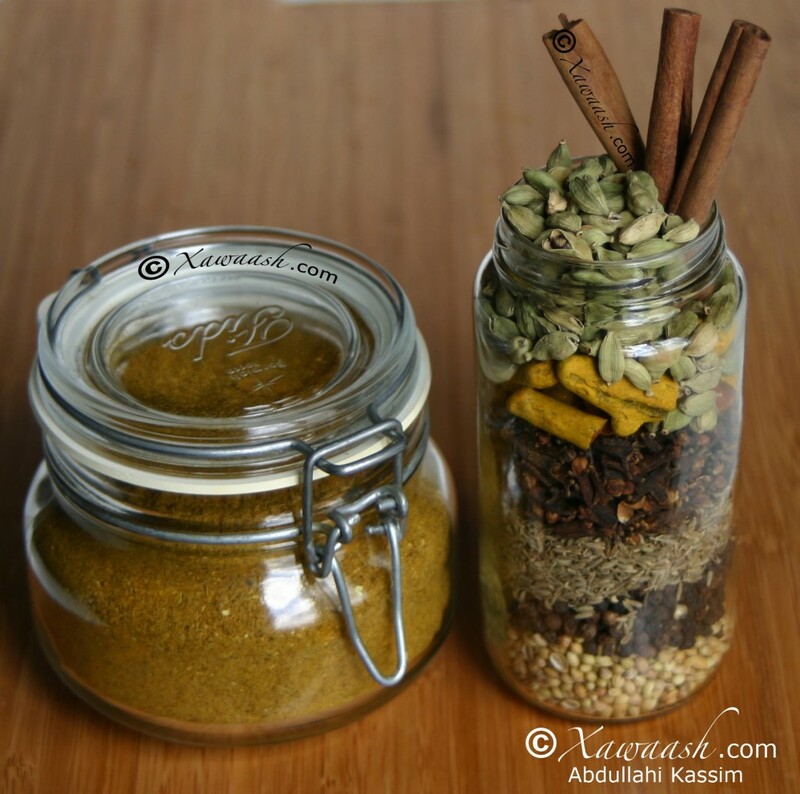 Can you tell me how to make Xawaash Vegetable Seasoning? Where can I buy the Chicken Bouillon Powder you guys use?